Don’t want to spend days traveling all across the state to taste grapes from some of Washington’s most celebrated growing areas and Washington State Vineyards? We have it all here for you within an easy drive. 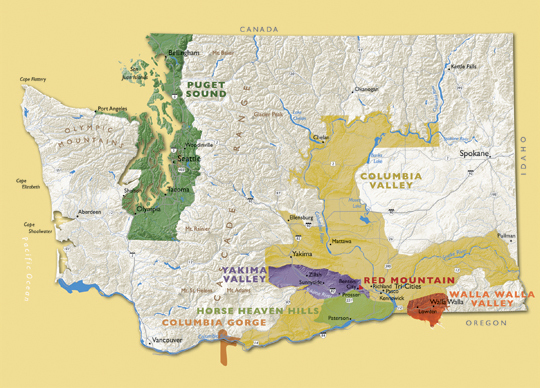 While climates of individual Washington wine regions differ dramatically, Western Washington, with its moderate climate and lack of extreme temperature swings is an ideal place in which to make wine. Since the Puget Sound area produces only about 1% of the states’ wine grape harvests nearly all the winemakers in Western Washington bring a large portion of their grapes in from the arid growing regions a few hours away in the eastern half of the state. A recent report from Wine Press Northwest Magazine listed their top ten rated vineyards in Washington State. 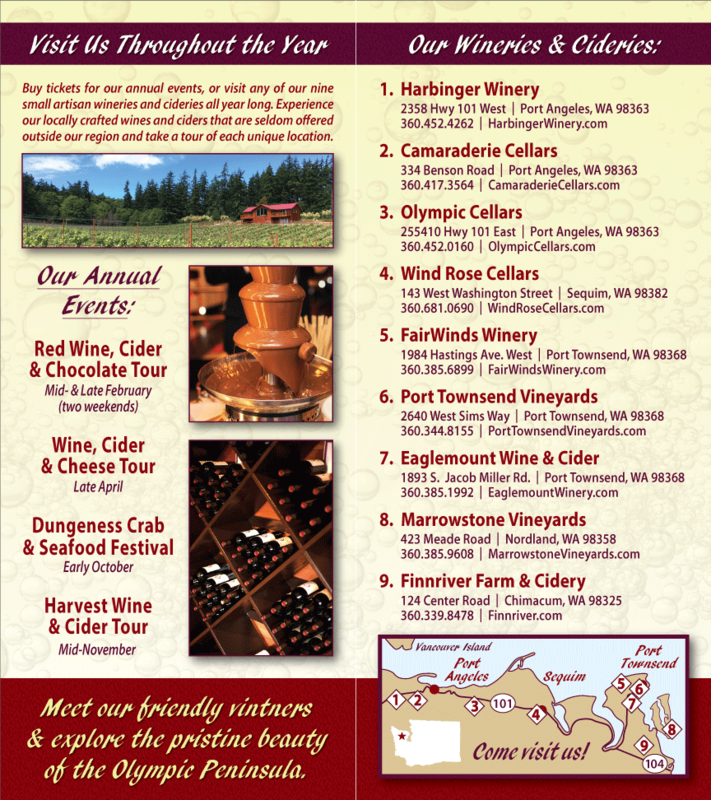 Listed below are some of the many vineyards that supply the various Olympic Peninsula Wineries with premium grapes. Those vineyards with a star (*) are from this list of the top ten. We want to thank all the dedicated growers, locally and around the state, for their outstanding contributions to our own wines and their continued commitment to premium wine growing in Washington State.